Java Blend's Peter Burbridge plans summer opening of Bridge Brewing Company. It's becoming a welcome embarrassment of riches in the local brewing scene. This week we learn that a self-described "nanobrewery" will soon open in Halifax, called Bridge Brewing Company. Java Blend's (6027 North Street, 423-6944) Peter Burbridge is behind the new enterprise, but is hesitant to discuss it, telling us that he wants to build buzz closer to its summer opening. 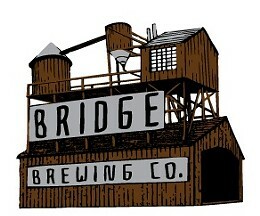 Still, we know this: Burbridge has registered the name Bridge Brewing Company with the province, he's started a twitter account, @bridgebrewing and a website, bridgebeer.ca. The website tells us that the brewery make what it calls Yardstick Ale, " a belgian abbey style ale with a North American twist. Subtle fruit flavours presents up front, as it opens up to a full body driven by a huge amount of malt and rounded out on a spicy black pepper finish." Also, according to its website, Bridge Brewing will strive to become a "zero emissions" brewery, and the blog on the site chronicles the business's attempts, and frustrations, to source hops and bottles locally. Additionally, the company has hired local artist Chris Foster for design work. Burbridge tells us that he's been home-brewing for some time, but he's trying to hook up with a brewmaster to run the brewery.